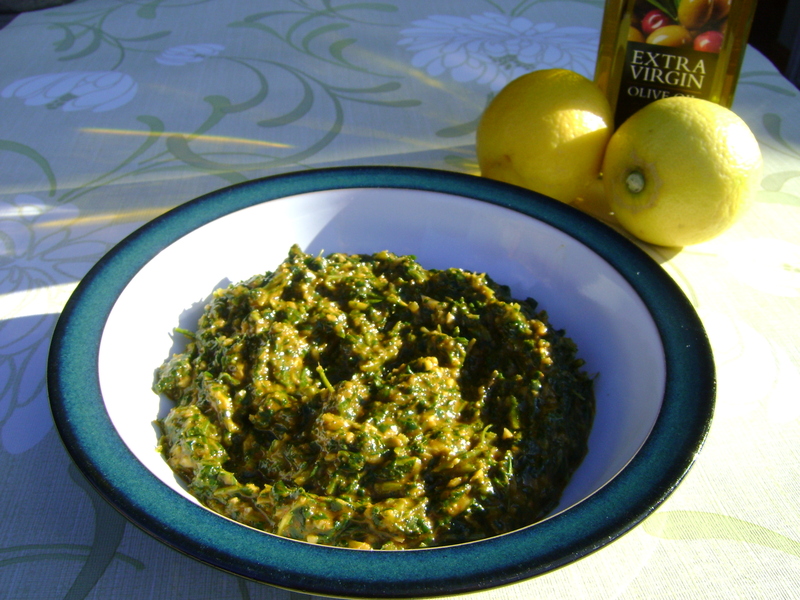 Chermoula is one of my favourite marinades, it’s a blend of coriander (cilantro), garlic, lemon juice, olive oil and spices. 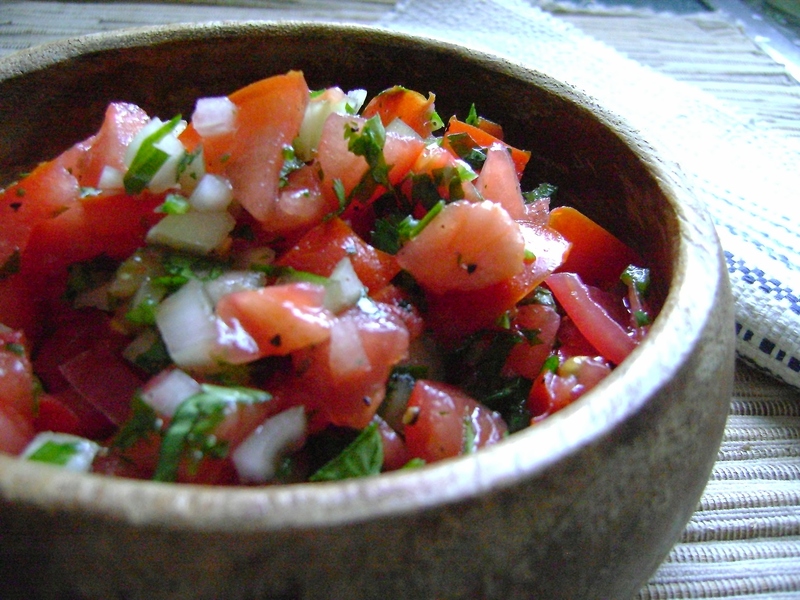 A very popular seasoning for grilled meat or fish in Morocco, it’s incredibly flavourful and zingy. Your taste buds will get such a blast! I use it most weeks through the summer as a marinade for white fish. 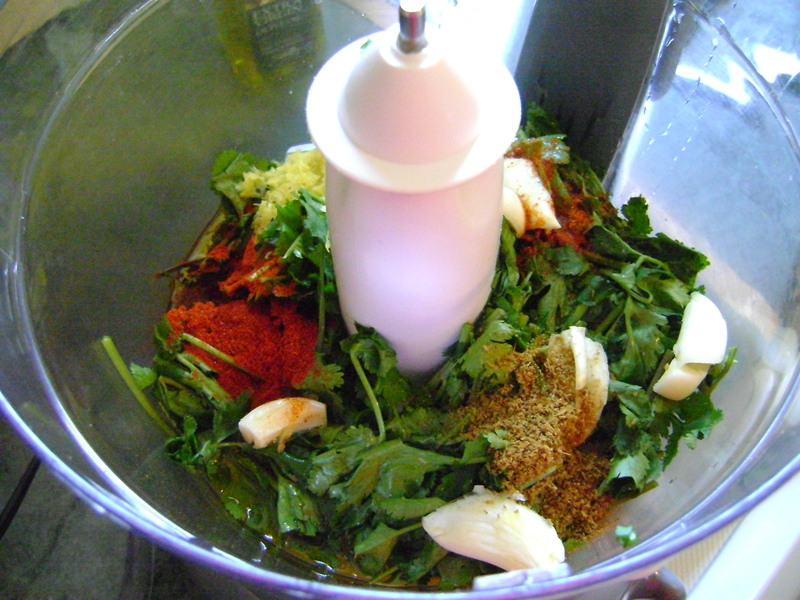 It couldn’t be easier to make, all of the ingredients go into a food processor and get blitzed together to form a slack paste which can be spread onto chicken or fish. There are many versions of Chermoula, some with onions, some containing harissa or smoked paprika but this I think is the simplest version and I love it! It is so easy to make and use. I usually make it at the weekend and store it in a Tupperware to make a fast dinner during the week. The Chermoulah can also be used as a marinade but I usually just spread it on just before the end of the cooking time to save a little time. With recent issues about blogging others recipes I must declare that I do not know the origination of this! I have a folder full of recipes torn from magazines, many are years old and its impossible to know where they came from. I have adapted the original recipe but can not give credit to the recipe creator. I will just have to hope you believe me when I say I have no wish to cause offense to anyone when posting a recipe! Put all of the ingredients into a food processor and process until blended, stopping to scrape the sides of the processor a couple of times to incorporate all of the ingredients. To use, pan fry or grill your fish, firm fish portions are best to avoid breaking up. When the fish is almost cooked spread on the Chermoulah and finish cooking. I am linking this up with a blog hop called Herbs on Saturday held by Karen at her lovely blog Lavender and Lovage.